3rd New Lift in Three Years! Hart Prairie chairlift is the primary and longest beginner lift at Snowbowl. The existing lift, built in 1981, was a two passenger seat lift made by Riblet Tramway Company. 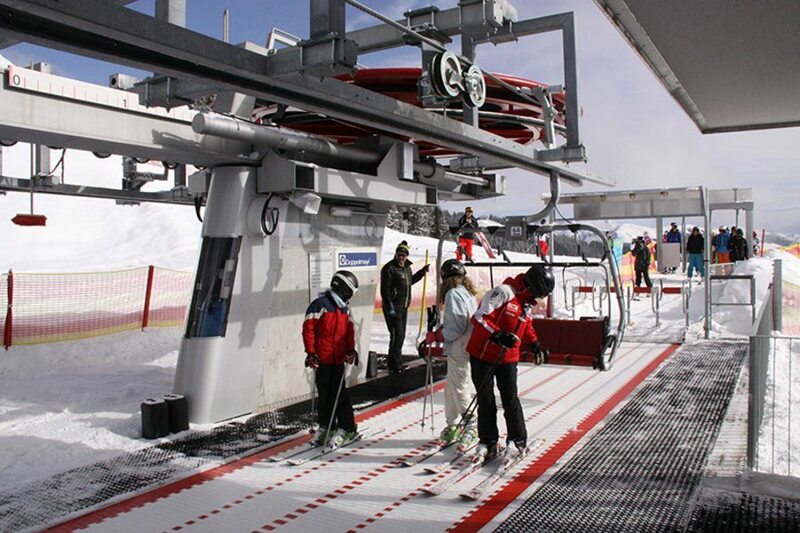 The new replacement chairlift is made by Doppelmayr, an Austrian-based company with a North American factory in Salt Lake City, UT. Doppelmayr is a worldwide leader of aerial transportation systems. Arizona Snowbowl enjoys having the best learn to ski and snowboard progression terrain in the entire western US with Hart Prairie boasting a wide open and gentle meadow, allowing beginners to learn and gain confidence on the slopes. Snowbowl is where Arizonans learn to ski and snowboard because of the fantastic and easy terrain. The Hart Prairie area of the resort has two chairlifts and two surface conveyors just for beginners, which offers terrain-based learning. We thank you for your continued support of Arizona Snowbowl and look forward to an exciting 2017-2018 season.